After the beautiful film that is Tokumei Sentai Go-Busters Returns vs. Dōbutsu Sentai Go-Busters, I finally got my hands on the Go-Busters vs Gokaiger movie. 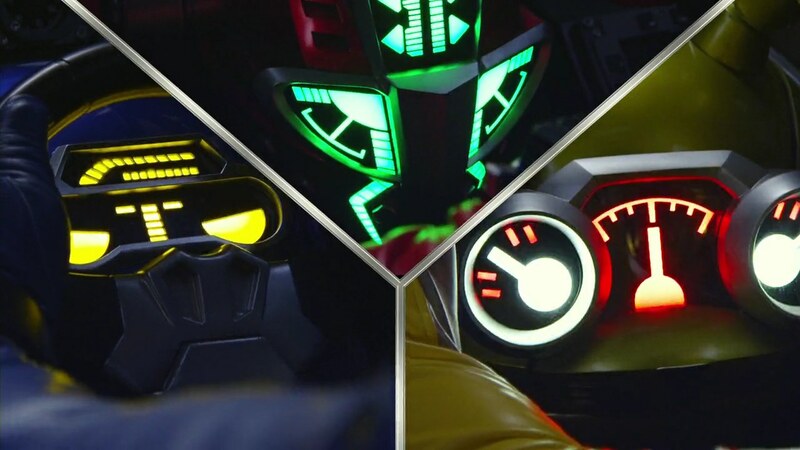 And while it wasn’t as completely satisfying as the Dobutsu Go-Busters were, it still packed a great emotional punch. Now Sentai VS. movies and Power Rangers team-ups all follow a standard formula. Last year’s team pops up in this year’s team’s world and they fight the remnants of last year’s villains who may or may not have teamed up with this year’s villains. So going into the movie, you have a pretty good idea of what to expect. 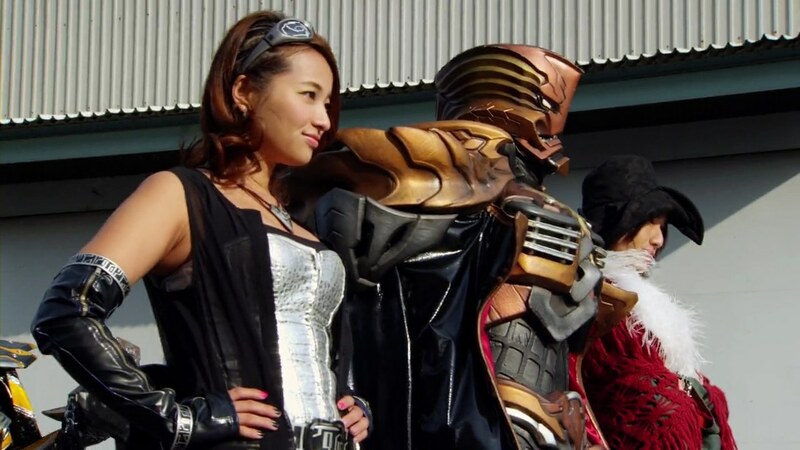 The most interesting thing about this VS. movie though is that it feels a lot more like a Go-Busters movie with the Gokaigers merely guest starring. That’s not a bad thing and certainly not unique to this team-up, but for a team as well loved as the Gokaigers, it might feel like a disappointment. 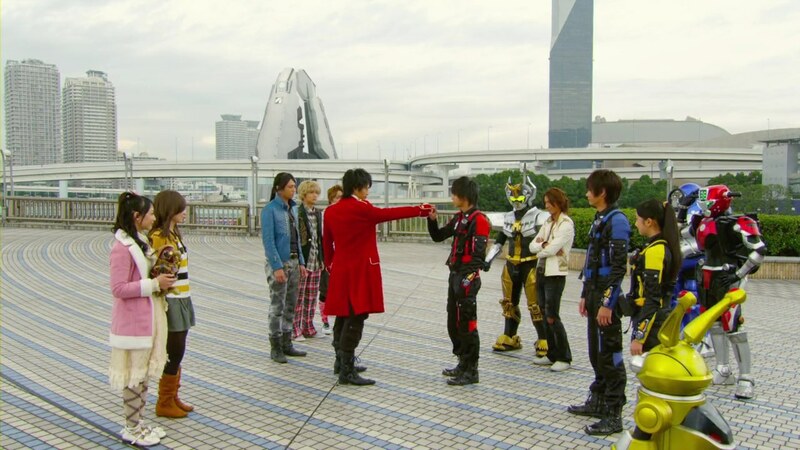 Indeed, while it was great to see the Gokaigers one last time as a team, their screentime was pretty limited as well as their real interactions with the Go-Busters. 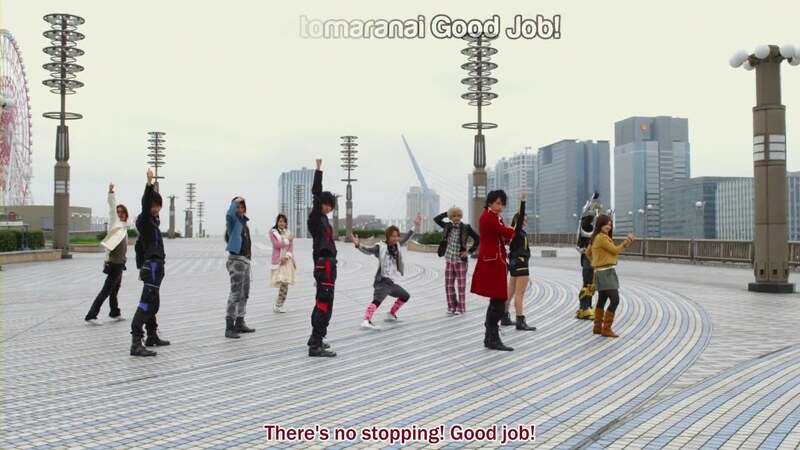 Save for Hiromu and Marvelous’ couple of scenes, the other Gokaigers and Go-Busters were only featured in very brief instances. Utilizing time and universe traveling and seeing that familiar Edo period set is to be expected on a Toei tokusatsu production. But it would’ve been nice to see a little more here, especially with Yoko, Gai and J getting plopped into the Edo period with an all too-short cameo by Jeloushitto. Not to mention a complete waste of fun English costumes on Doc, Jin and Ahim. But the biggest reason this felt more like a Go-Busters movie was how the bond between the Go-Busters and their Buddyroids took center stage. Fans can complain about many things about Go-Busters, but they cannot pick on how well the friendship and bond between the Go-Busters and the Buddyroids (and Kuroki, Morishita and Nakamura) was established and developed. Already having that connection, but getting highlighted here made the scenes of the Buddyroids shutting down and then coming back to life all the more powerful. That scene also proves just how amazing the original Go-Busters theme song is. As soon as you hear it kick in during a dramatic scene, you know you’re about to have tears start rolling down your cheek. 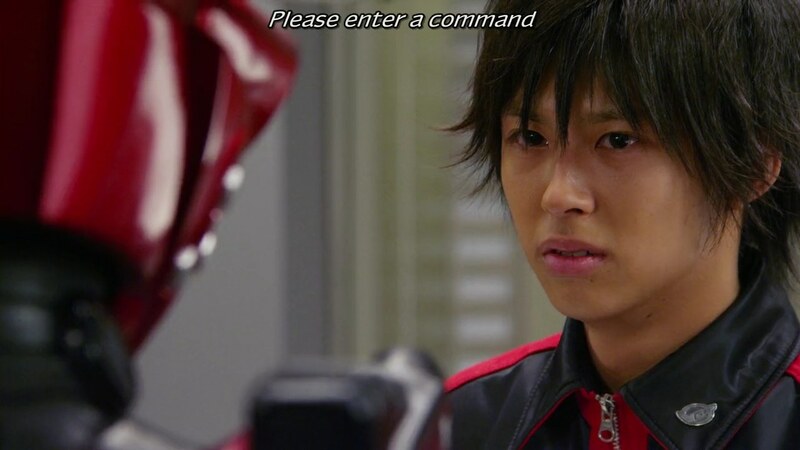 The Gokaigers watching Hiromu, Ryuji and Yoko breakdown almost made them look like random bystanders who happen to stumble upon the scene instead of fellow comrades who know all too well the toll being a Sentai team can take on bonds and friendships. 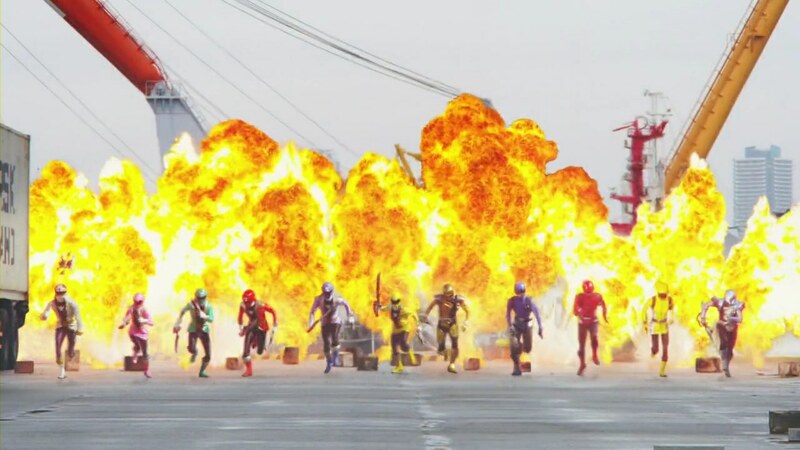 The Gokaigers’ appearance and using the “evil Gokaigers” plot device even for a just a third of the movie made their participation feel hollow. Especially since Super Hero Taisen centered on the same exact plot point; Gokaigers/Marvelous pretending to be evil for a greater plan. So it was great seeing the Gokaigers again and great to have them finally dancing, but it almost felt like they were wasted. As were the 30 second appearances of Escape and Basco as avatars. The nostalgia points with the Buddyroid keys, the old mecha keys, curry and chicken, a random cameo by Kaoru and Jin making that “I feel really at home in this…” comment about being in the Magiranger mecha were nice pluses. And the action sequences seemed to be much bigger and more slick here than they have been in recent movies, both the mecha battles and the henshined fights. 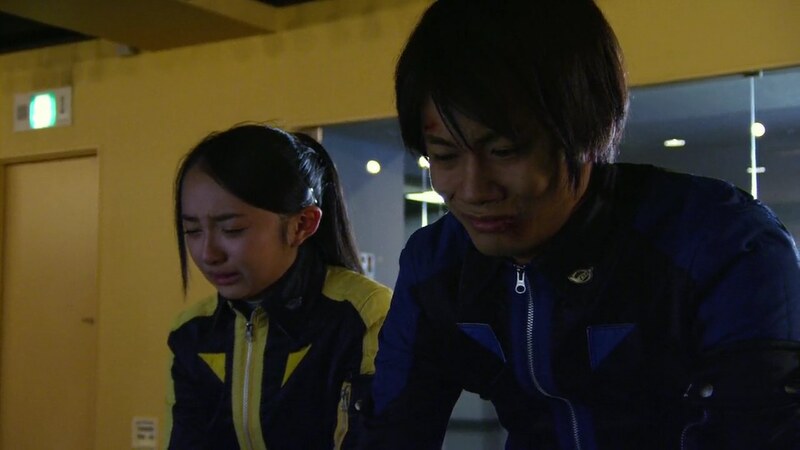 But again, it was all about that emotional bond between the Go-Busters and the Buddyroids. And for a series that was all about heart and bonds, this movie fit right in with the rest of Go-Busters. Overall, it was a nice action-packed and emotional hour and change. It would’ve been nice to have given the Gokaigers a better epilogue for their final appearance, but it was still a more than enjoyable movie.